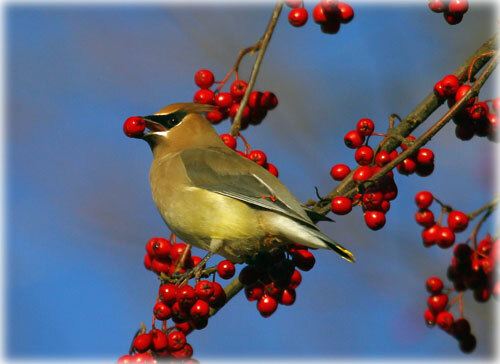 This Cedar Waxwing was observed during the Christmas Bird Count (Dec. 18th). Cedar Waxwings should have been long gone from the Ketchikan area by now and is considered a really rare sighting for this time of year. Alaska: Miller Will Not Oppose Certification of U.S. Senate Race; However, Miller Decides to Move Federal Case Forward - Joe Miller, Republican nominee for U.S. Senate, announced yesterday that he will not oppose state certification of the U.S. Senate race in Alaska. However, Miller said for the sake of the integrity of the election, he will go forward with the federal suit, which was filed last month, but required a final determination by the Alaska state court to proceed further. Miller will be filing a motion in federal court today to stay the post certification election contest timeline until after the federal case has concluded. Alaska Lieutenant Governor Mead Treadwell welcomed the Supreme Court’s unanimous ruling on all counts supporting actions by the Division of Elections in Alaska’s U.S. Senate race. Miller said of Wednesday's ruling, "We disagree with the court's intrepretation of the election code, but respect both the rule of law and the court's place in the judicial system," Miller said. "We are studying the opinion and carefully considering our options." Ketchikan: Ketchikan Cab Driver Arrested for Misconduct Involving a Controlled Substance - The Ketchikan Police Department announced today that after receiving a complaint of illegal drugs being sold by Ketchikan cab drivers while they were working, investigators from the Drug Unit initiated an investigation. Fish Factor: Gifts From the Sea By LAINE WELCH - During the season of gift-giving, don’t overlook the gifts from the sea. Sponge Bob, for example, is set to be the next rage in fiber optics. Researchers at Bell Labs have found that the sponge euplectella grows glass fiber networks that are far more advanced than any found in today’s telecommunications industry. Wild salmon sperm is the first bio-material ever used for light emitting diodes (LEDs) which light up the numbers in digital clocks and all kinds of electronic equipment. photonics experts can insert light emitting molecules into pure fibers made from salmon sperm DNA to create superior lighting devices. The bio-material could someday reduce the need for heavy metals and other hazardous materials commonly used in lighting. For hundreds of years Asian cultures have used jellyfish to treat arthritis, high blood pressure and back pain. Some jellyfish have a special bio-luminescence that has proven useful in medical research. Chitin, a substance found in the shells of crab, shrimp and other crustaceans, is packed with medical miracles. Chitin is made of carbohydrates that bond with red blood cells to form artificial clots, and seal massive bleeding wounds in just 30 seconds. Shrimp-based bandages are now being used by our troops in Afghanistan. Ground up shrimp shells are also being tested in a nasal spray by British researchers as a treatment for allergies and hay fever. A new product called enzycol has been created by Russian researchers using enzymes in king crab shells that help heal severe burns. The researchers also claim that sea urchin pigment is remarkable for its anti-oxidant, anti-bacterial and anti-inflammatory properties. Alaska Science: Finding a midwinter night’s roost By NED ROZELL - During the darkest days of Alaska’s winter, black-capped chickadees stuff themselves with enough seeds and frozen insects to survive 18-hour nights. 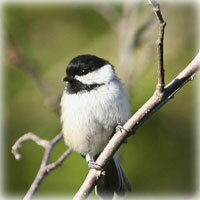 Where the chickadees spend those long nights was a mystery until a biologist tracked them. Photo by Donna Dewhurst, US Fish and Wildlife Service. Susan Sharbaugh has spent many winter nights trying to find out how a creature as light as a handful of paperclips survives temperatures of 40 degrees below zero. Sharbaugh is a biologist with the Alaska Bird Observatory and an unabashed fan of the black-capped chickadee, one of the most unlikely residents of the north because of the difficulty of keeping a tiny body warm in a cold place. In her past studies, Sharbaugh has found that black-capped chickadees gain an additional 10 percent of their body weight each day by stuffing themselves. The birds then use that fat to shiver all night, which keeps them warm. The human equivalent would be a 165-pound man who spent a frigid night outside and emerged 15 pounds lighter by the next morning.